School shoes......wow we must have been through nearly 5 pairs since Alfie started school, how crazy is that. 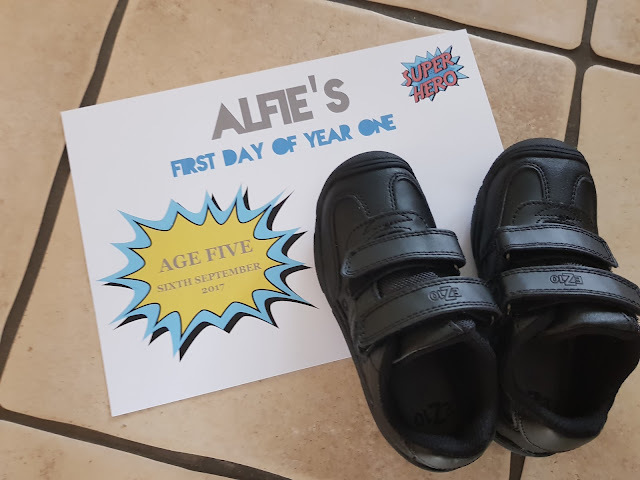 As Alfie is an active boy and by active I really do mean active, he pretty much has ants in his pants all day everyday so we need a robust and long lasting pair of shoes. I'm yet to find a pair that has lasted longer than a term, that is until we were sent a pair of EZ 10 road tyre shoes (RRP £45.00) to review. We wanted to give these shoes a through test so waited a while before reviewing them to give them our full and honest thoughts all about them. On first impressions these tough school shoes are even better than I expected. Although they look like they might be heavy they are surprisingly light, the velcro straps make them ideal for a child who is not yet tying shoelaces and they are easy to take on and off. They also look smart but have a trainer like appearance but without looking like trainers, if you get what I mean! 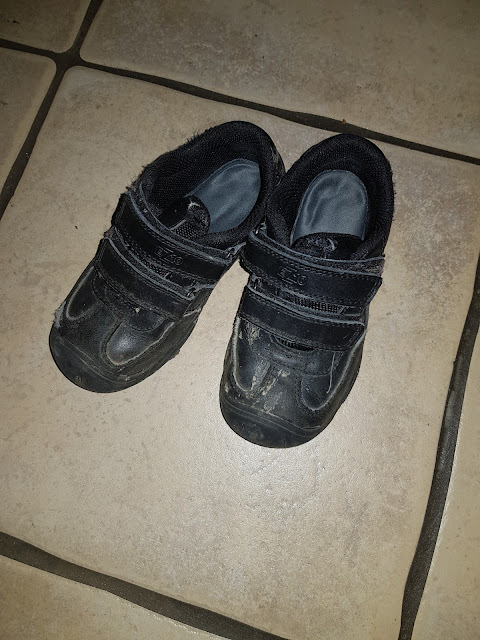 Just how light these shoes are, they really are so lightweight and not once has Alfie complained that they are uncomfortable or too cumbersome to wear and run about in. They are incredibly robust. As you can see from the picture further down they are long lasting and exactly what you want in a school shoe, resilient and stay in one piece! 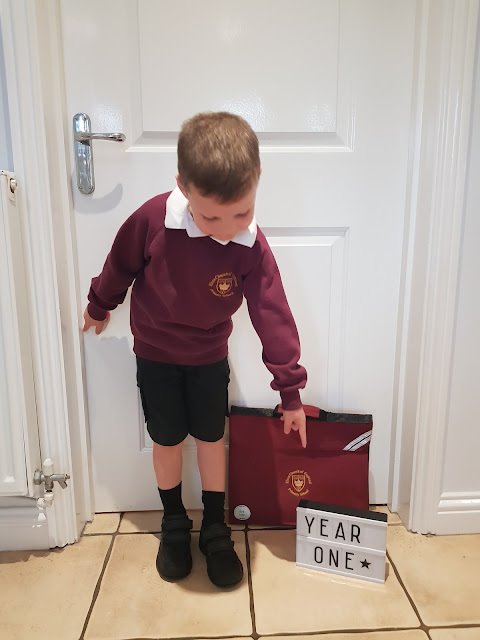 They look smart and are a great school shoe, they look good with trousers and shorts and made of leather they keep Alfie's feet warm in Winter and cool in Summer. They look as good as new when cleaned, a quick buff with some shoe cream and they look brand new again. Alfie finds them very easy to do up, he's very keen to put his shoes on when morning comes about and can do them up quick as a flash. I know we should perhaps be starting to tie laces at some point but for the moment he gets on with them so well I'm happy for him to be putting his own shoes on! Is there anything we weren't so keen on? To be honest there was very little we weren't impressed with. The only thing I guess would be the price, £45.00 is alot to spend on a shoe and hope it lasts, aswell as how quickly little feet grow! However, I would say that it is money well spent as I am very impressed with just how well they have lasted......please see the below picture! As you can see these are the shoes after a good 3 months of use. I purposely haven't cleaned them so you can see them in their natural state, actually they don't look to bad mud wise, they have been caked recently! They are lasting brilliantly, they is some slight wear and tear to the right shoe which of course is to be expected but overall they still are in very good condition and I think (and hope) that they've still got much more wear left in them! So, if you're looking for school shoes for boys or girls you must head over to Jake Shoes and check them out, there is a huge range of shoes to choose from. * Please note we were kindly sent the shoes in exchange for an honest review, all thoughts and opinions are my own. Great post, Helen, those shoes are so cute! Those shoes look so smart and comfy. Nice shoes. I feel like we are buying a pair every couple of months ... growing feet or worn out. It's one or the other.